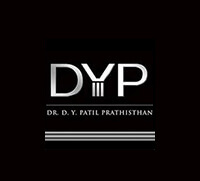 The Padmashree D.Y Patil College of Engineering is one of the reputed Engineering and Management colleges of Maharashtra. This college was established in 1984 as the University Pune. It offers B. E/B. Tech, M. Tech, and Ph. D courses. The Padmashree D.Y Patil College of Engineering is affiliated with the Savitri Bai Phule University, Pune. It is an AICTE recognised college of engineering. The college is also accredited by the NAAC with Grade’ A’. The courses of the college are recognised by the NBA (National Board of Accreditation). The Padmashree D.Y Patil College of Engineering imparts quality education to students by providing them access to the modern laboratories, library, sports, research facilities, and clubs. PhD is available only for Civil Engineering. Admissions in the D.Y Patil College of Engineering are done on the basis of applicant’s score in the IIT JEE Mains Paper1 exam or MHT-CET exam score. The candidate should have passed Class 12th / equivalent in the PCM subjects. An applicant should have completed Masters in the related field of subject to get enrolled for the Ph. D course.